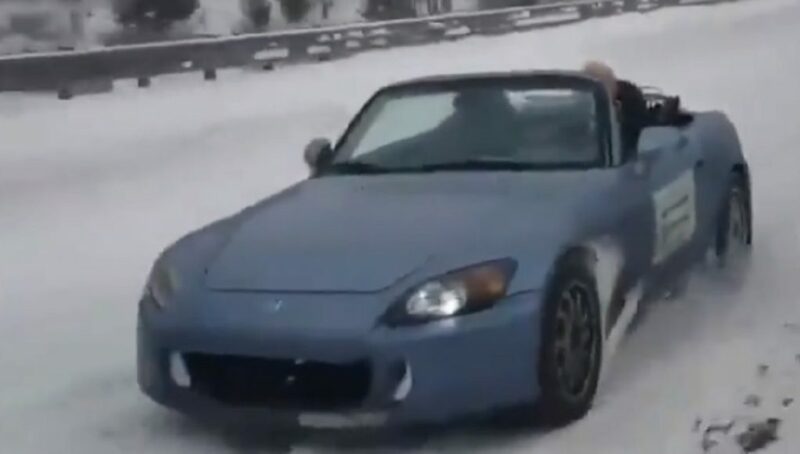 There’s a deadset legend in Detroit who drives his Honda S2000 top down in any weather, even if it’s in the middle of winter. I’m a simple man, I see legendary Honda content I click LIKE and RT that thing. 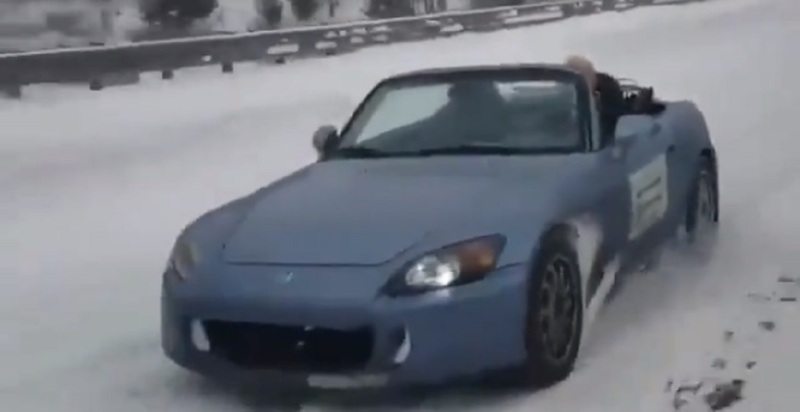 So when I came across this video of a Honda S2000 owner in Detroit driving his Suzuka Blue AP2 during the Polar Vortex, you better believe I copied (ehemm stole) that video and reposted it on my own Twitter. After searching around online for a bit, this S2000 owner doesn’t drive top down for no reason, the hashtag on his car #FreezeForThaw does reveal a much more noble cause. Here’s the video making its rounds online below. In this day and age you can’t pull off a stunt like this and not get noticed so it was only a matter of time before someone whipped out their phone in the middle of winter and caught this guy on video. It’s certainly not the first time he’s got the media’s attention, both the Detroit Free Press and The Detroit News have run stories on exactly who he is and why he does what he does. His name is Laurens de Jong and he’s a 49-year-old Ypsilanti resident who decided to one day drive with his top down for 100 days. De Jong liked it so much he’s been doing it ever since. In order to do some good with all the attention he’s got over the year’s he’s attached the hashtag #FreezeForThaw on his Honda S2000 along with an advertisement for his Facebook so people driving by can find more information about what De Jong is advocating. THAW or The Heat and Warmth Fund is a non-profit in the Michigan area that helps pay for utility bills for people who need a helping hand. It goes without saying but without proper heating, many people and their families would suffer greatly in the cold. Bravo, De Jong, on your journey to helping THAW get more donations. I’m just happy you’re doing it in a Honda S2000, arguably one of the best roadsters in the world. I’m sure those Honda S2000 engineers who helped build this awesome Honda roadster would be proud to know about your mission.